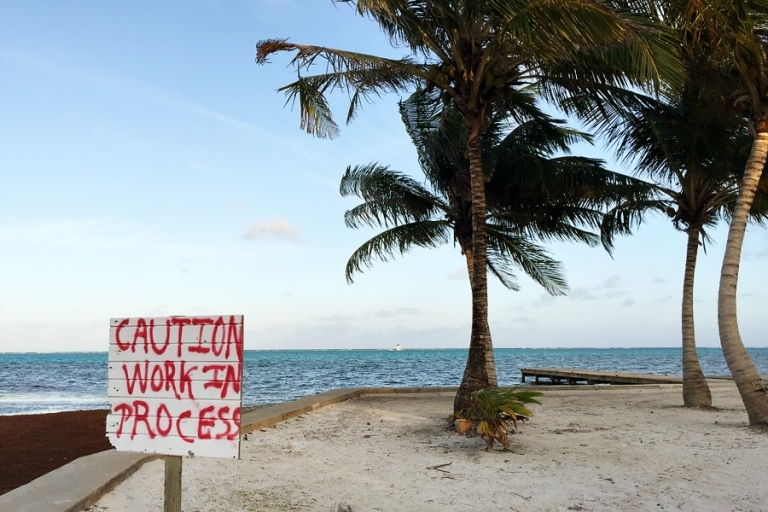 I came upon this sign last month while walking along the narrow beaches of Ambergris Caye. Looking at the image now, it sparks some reflective musings about the transition of this blog from wedding and portrait work back to my personal life. It has been well over a year since my last client related post, but I still wonder about the life and purpose of this blog. I really enjoy writing posts about my travels. Those posts have become a trip journal perfect for reminiscing about favorite photos and moments, and plus I’m happy to share any information that might be helpful to fellow travelers. But I’m not a full-time traveler and I don’t quite have enough content to consider this a full-fledged travel blog. (At least not yet?) On that note, I was surprised to receive an email the other day addressed to “Travel Industry Professionals,” and thus I’m guessing my search engine statistics have morphed a bit from wedding and portrait photography over to more travel related material. Though I also still get lots of hits on Frenchies, peace lilies, and how to make a drum shade. It’s all kinds of random up in here! So for anyone who is a long-time reader or if you’re stopping by for the first time just now, I hope you’ll bear with me while I continue to reshape my blogging voice. My plan is to keep posting mostly stories about my travels (on deck: Vieques, Ireland, and Scotland!) along with tons of photos, Tourist at Home posts, the occasional house project, and perhaps a handful of miscellaneous topics if that’s okay with you.